The first Euorpean country to go to the Fairtax will out shine all the rest!!! That big a French government will conscript people to work — and with enough enthusiasm to outcompete smaller government jurisdictions — bring french growth on par with world average (4% trendline) — and avert french decline. Germany, Holland, Finland + some baltics = ~110 million people. 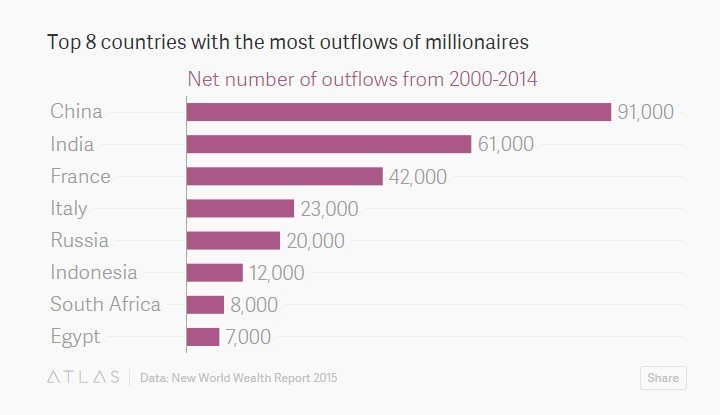 France, Spain, Italy, Greece = ~220 million. For the Northern Europeans, the moment they signed up “to an ever closer union” the fate of their prosperity was sealed. People in Europe know quite well how democracy works. Northern wallets will thus be voted away. Not that the Northern European nations needed that much help on their path to decline. Their structural growth rate is already around 2% at best, half the world average. So they’re already in decline all by themselves. Redistribution has already flattened the Northern European reward-curve too much for Northern Europeans to be competitive worldwide (no, a BMW and other industries are not enough to keep your prosperity standing in the world, a 2% growth rate in a world that is growing by 4%, encapsulates a trajectory of decline). So now imagine what an additional layer of redistribution, at the supranational cross country level this time, will do for that already flatter European effort-reward curve. Europe will ride its decline all the way. The population of Europe still aspires in the idea that a protectionist pan european regulatory environment with its intra and inter national redistribution homogenization and harmonization will somehow spur European citizens into high levels of motivation, growth rates that at least match the world average, and retention of first world status!! Alas, at half the average structural growth rate, Europeans are fast moving towards the middle income world — their lofty ideas of coercive collectivism and all. A large body of vested Brussels bureaucrats sees their busybody livelihoods threatened and cries: Hasta la muerte! But perhaps Europe’s disintegration (a good thing for those few countries poised to choose supply side policies once free) is closer than I think. There seems to be a nascent deep discord between north and south. My guess is that the north will turn towards the statist right, while the south will turn towards the statist left. The details of who turns right and who left are not that important. They will all be statists. It will be a classic nasty Hayekian fight between ideological siblings. Which decline forces will prevail? The fight between right and left statists? The integration bureaucracy that will try to hold everyone together in an orderly decline? Hard to tell. But does it really matter how Europe declines? Not really. Trying to predict the details is a spicy exercise, but largely irrelevant in the bigger scheme of things. The bottom line is that the flatter (and now flattening even more with rising cross nation redistribution) effort reward curves of the European welfare continent structurally demotivate people and result in structural growth rates that are half the world average, or less. And without growth that at least matches the planetary average, nothing is sustainable. Nothing. This was a fantastic article regarding Greece, France, and Spain, one that I really enjoyed. I especially liked the concise way in which it conveyed all the information required succinctly. I’m a 15 year old with a blog on finance and economics at shreysfinanceblog.com. It would be very much appreciated if you could read and reblog one of my articles! Thanks again for this great article.